Does this blog work for you? I dropped my little dog off at North Shore Veterinary Hospital, which is waaaay out east by Lester Park. 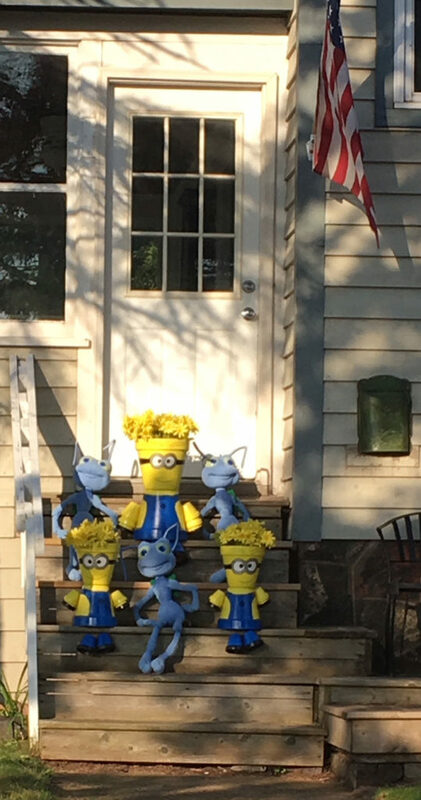 I drove by this doorstep and kept on driving, but then I just had to turn around. We just saw Minions in “Despicable Me 3.” It was the last outdoor movie of the year in Leif Erikson Park . Duluth is full of fun sights and community member working to make it a fun place to live. Posted in Lester Park Tagged blue, doorstep, minions, yellow. Powered by WordPress. Built on the Obscura.